You don’t need us to tell you that a modern classic is the best way of investing money. Not only will your return on investment be greater than that of any ISA, driving your investment is also a lot more fun than a chat with the bank manager. If you’re buying a modern classic with a view to making the maths add up, an auction purchase could make a lot of sense. 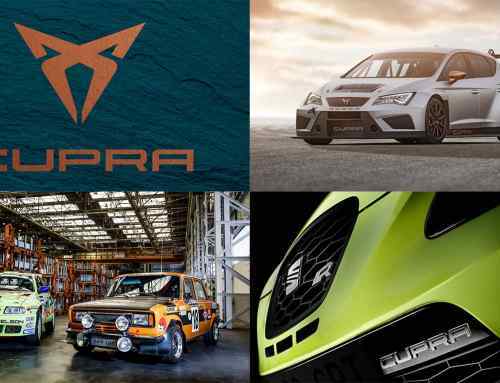 They generally achieve lower prices than retail and, at this weekend’s Classic Car Auctions sale, there are no fewer than 160 lots up for grabs. Buying a car in December can have its merits, too – buyers traditionally prefer to wait until spring, when the weather improves and their finances have recovered from Christmas. Bear in mind that all prices quoted here are subject to a 12 percent buyer’s premium. We’ll start with a hot Ford from the 80s, because hot Fords from the 80s are always a sensible move when it comes to investing money. To create the RS Turbo, Ford took the already-desirable XR3i, fitted a turbo and made various tweaks in the suspension department. It also fitted a limited-slip diff to help put power down, but this was unfortunately removed with the launch of the second-generation RS Turbo. 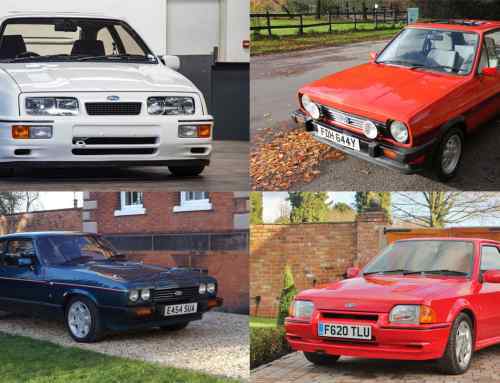 The Mk2 RS Turbo up for grabs here looks to be in excellent condition, with a recent engine rebuild, a full-to-bursting history folder and a shell that is believed to have never been welded. This condition means its £10,000-12,000 estimate seems rather reasonable in fast Ford terms. A few years ago, a Porsche 944 could be picked up for a couple of grand and was a credible alternative to a cheap MX-5 as an affordable way into sports car ownership. Not any more. You could comfortably spend more than £10,000 on a desirable S2 such as this one, which makes this 1990 example with its rare bridge spoiler seem like it could be a bit of a steal. The comprehensive service history appeals, as do the recent brake parts, alternator, cambelt, distributor and stainless steel exhaust silencer. It’s clearly had some money spent on it mechanically, but we’d want to have a poke around the bodywork to make sure it’s solid. Inspect the dashboard, too, they have a habit of cracking. A white Volkswagen Golf GTI convertible was a yuppy’s car of choice in the late 80s – so it’s quite appropriate that this one was owned by David Jason during the period when his Only Fools and Horses character Del Boy transformed from being a dodgy market trader to an aspiring yuppy. The car was actually bought by Jason for his long-term partner Myfanwy Talog. It’s a limited edition ‘All White’ model with less than 21,500 miles on the clock. 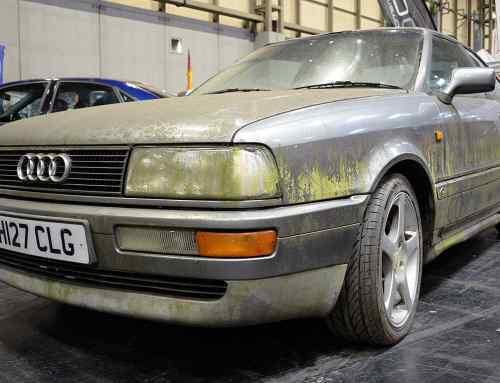 It scored full marks at a VW concours event at some point in its life, say the auctioneers, while its condition looks pretty impressive to us. When the Renault Alpine GTA – the first car launched by the Alpine brand under Renault ownership – arrived in 1984, it would have seemed quite revolutionary. Not only did it look different to any of its rivals, its use of fibreglass for the body meant it was lighter, too. Power came from a V6 engine co-developed by Peugeot, Renault and Volvo. 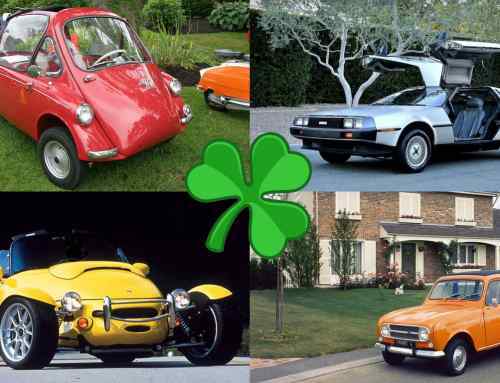 Right-hand-drive models sold in relatively small numbers, meaning they come up for auction infrequently today. This is a UK model that’s recently been lightly recommissioned after five years forming part of a private collection. While it evidently needs work if you’re after a minter, it looks like a good solid base for a project. With BMW M3 CSLs now fetching upwards of £50,000, you’ll have to look elsewhere if you want a bargain BMW. The M3 CS is a halfway house between the standard E46 M3 and the desirable CSL. It features bigger brake discs, the CSL’s quicker steering rack and revised springs. Oh, and some drop-dead 19-inch alloys that look very similar to those fitted to the CSL. Crucially, it was also available with a manual gearbox – something the CSL went without. It’s a shame, then, that bidders get a choice of two M3 CSs at the Classic Car Auctions sale – but they both feature SMG auto ’boxes. Despite that, this one we’ve picked out looks a good ’un, with more than £7,000 worth of receipts since 2014. The classic car enthusiasts’ favourite, the MGB, was reincarnated in 1993 as the MG RV8. It used an MGB bodyshell acquired from British Motor Heritage, modified to take new panels and a 3.9-litre Rover V8 from the Range Rover. Most MG RV8s were exported to Japan, where buyers were keen on its kitsch British design. This example is one of them, spending most of its life in storage before being imported back to the UK. It’s got a trifle over 2,000 miles on the clock, which has to make it one of the least used MG RV8s in existance. We wouldn’t be surprised to see it comfortably exceeding its £15-18,000 estimate. For anyone wanting to invest in a modern classic, a 205 GTI should be the a strong contender. Not only are they great fun to drive, prices have been firming up for a long time now. Earlier this year, a 1988 205 GTI sold for an incredible £38,480. This 205 GTI, going under the hammer this weekend, is extra desirable, as it’s the 1FM limited edition. Launched to celebrate the 25th anniversary of BBC Radio One, the 1FM had a £17,000 price tag – nearly £5,000 more than a standard 205 GTI when new. It included a donation to charity, and came with an upgraded Clarion sound system featuring a six-disc CD multichanger. Only 25 Peugeot 205 GTI 1FMs were sold, distinguishable by their red vinyl decals as well as a brass badge on the driver’s door. This example also appears to have its original mats, in good condition – a rare find, as they faded easily and many have been lost or thrown away. If you’re looking for an instant return on your investment, the B7 RS4 isn’t the car for you. It’s too modern to be going up in value but, that said, it could be a lovely car to own. Introduced after a five-year gap in 2006, the B7 was eagerly anticipated and a genuine rival to the BMW M3. Power comes from a 4.2-litre V8 producing 420hp – plenty powerful enough to still feel fast more than 10 years later. With more than £5,000 worth of extras when new, this example looks like a solid purchase, especially with its extensive history file and just 46,000 miles on the clock. Look after it and as other examples are abused, we reckon it’ll eventually start to make a return on your investment. The Impreza P1 was a response by Subaru UK to the high number of grey imports of hot Japanese-spec Imprezas. Limited to just 1,000 cars, all P1s were two-door models and finished in Sonic Blue. Power was boosted to 280hp while the suspension was tweaked for UK roads, making it one of the most desirable Imprezas ever officially sold in the UK. Many have been driven hard, making a tidy example hard to come by. This one has had a recent paint tidy-up along with new belts and brake pads, and looks better than most in the classifieds. Its £10,000-12,000 estimate sounds more than reasonable to us. A BMW M3 owned by Richard Hammond… this has to be a sound investment, right? There is a catch. It was driven as part of the £5,000 sports saloons challenge in 2010 and christened ‘the death trap’ by Jeremy Clarkson and James May. A patchy history including a hefty crash aside, it doesn’t look like such a bad example today. It previously sold for £5,830 in 2015, falling well short of its estimate. This time it’s offered without a reserve. We’ll end with a Ferrari, because a prancing horse always makes a wise future classic investment – as long as you can afford the running costs, of course. The 456 arrived in the early 90s, intended to be a more useable and reliable Ferrari than the V12 models that had gone before it. Prices bottomed out at around £25,000 and are now firmly on their way up, with manual examples such as this one fetching a premium. While fairly conservatively styled, we think the 456 had aged extremely gracefully, and this one’s had close to £15,000 spent on it in recent times. I know that many may not agree with me, but I’m betting on the 2006 Jaguar S type R. Jaguar is going through a lot of changes, but this classic Jaguar look will always be remembered. I just bought one for under $10,000.00. This is a bargain.